A few pictures of my parents’ home in Grimsby all decked out for Christmas. We had a fantastic Christmas dinner prepared by my father of ham, chicken, potatoes, brussel sprouts, carrots, veggies wrapped in bacon, parsnips and stuffing. 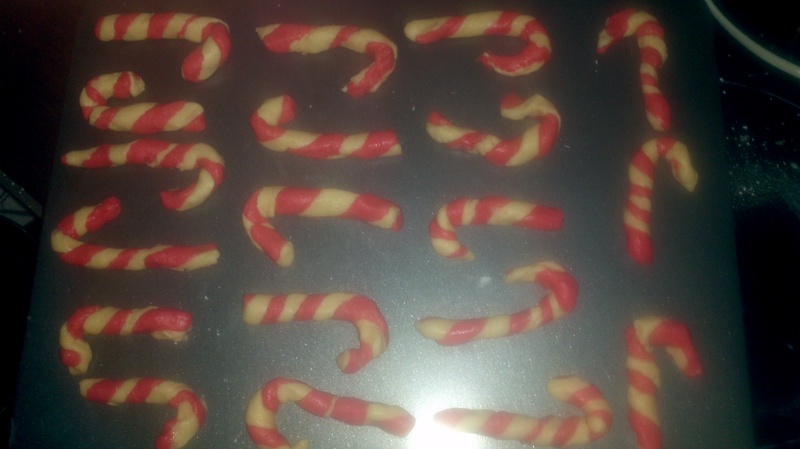 The last two of the Christmas ‘baked’ goods that I made are not actually baked. One of them is even called Chocolate and Peanut Butter No Bake cookies! The other is chocolate fudge. This takes literally 15 minutes to make, including washing up time, although you do have to leave it to set for a while. It is a low effort, high reward treat and one of my favourites! Melt a tin of condensed milk and 18 oz of chocolate in a saucepan. Remove from the heat and add 1 teaspoon of vanilla and a dash of salt. You can also add nuts or fruit, we used a mixture of pralines and walnuts. 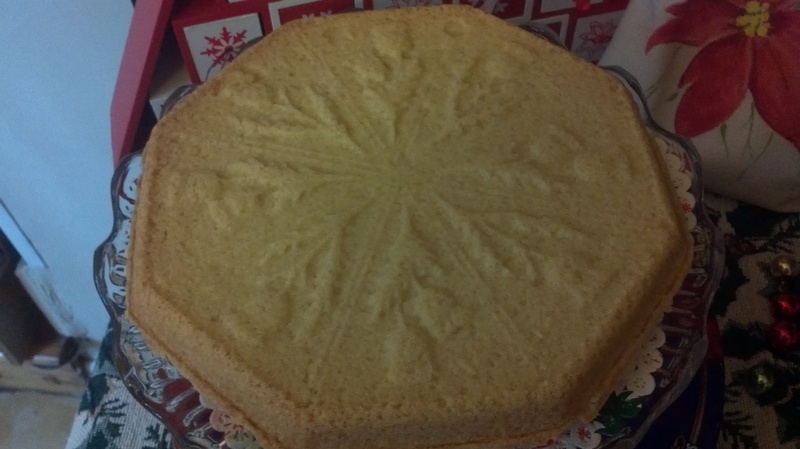 Pour into a tray lined with grease-proof paper. Leave to set. Mom and I use the recipe from an Eagle Brand packet and when I was browsing on their website I found this video. Pour into a non-stick tray and leave to set. 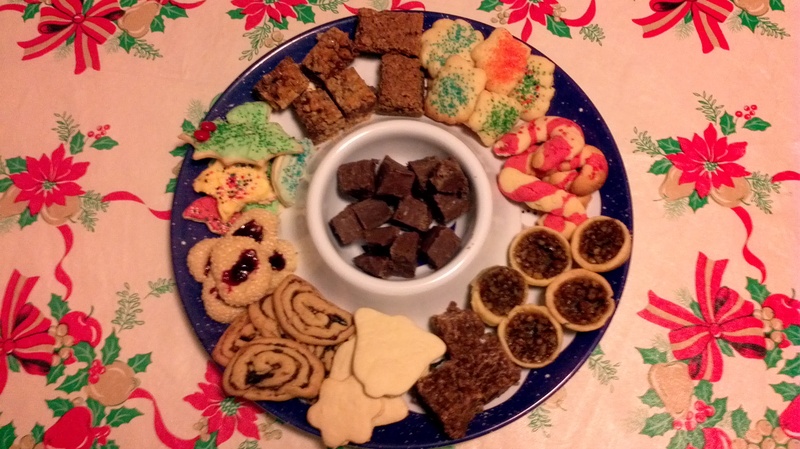 I don’t have any individual pictures for these two however I do have a picture of a tray featuring almost all of the baked goods from Christmas. From the candy canes (as they are easily recognisable) going clockwise: Candy canes, Praline cups, No bakes, uniced Rollout cookies, Date pinwheels, Thumbprint cookies, iced Rollout cookies, Seven layer cookies and Spritz with fudge in the middle. 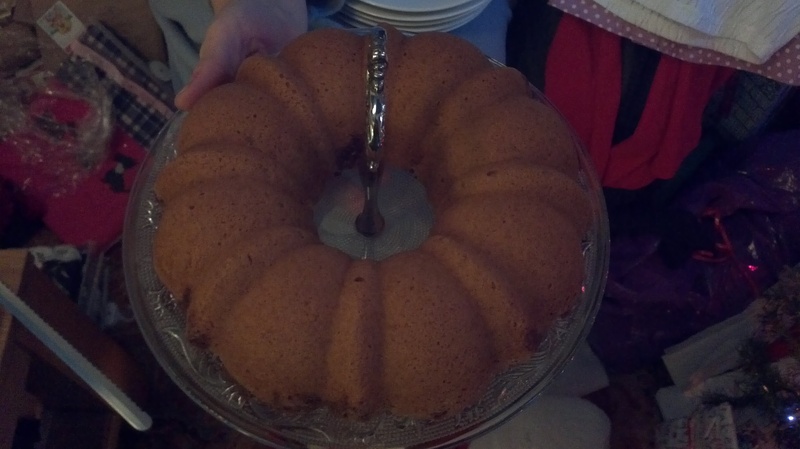 There were also fruit cakes and breakfast cake. 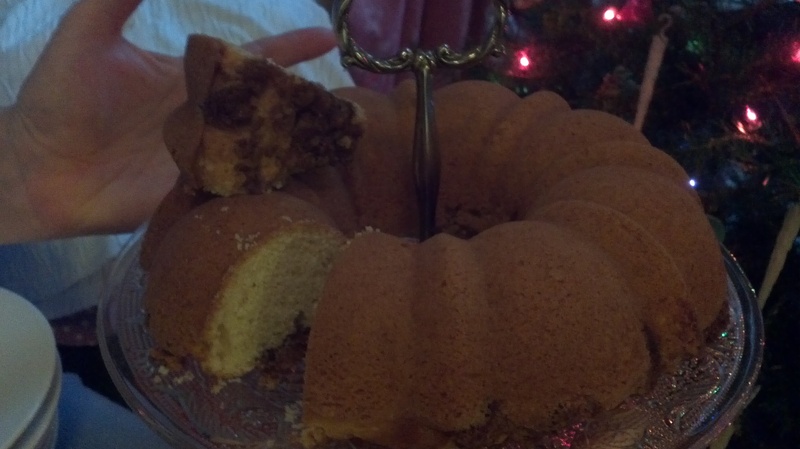 In America we would call this coffee cake but it does not have any coffee in it! 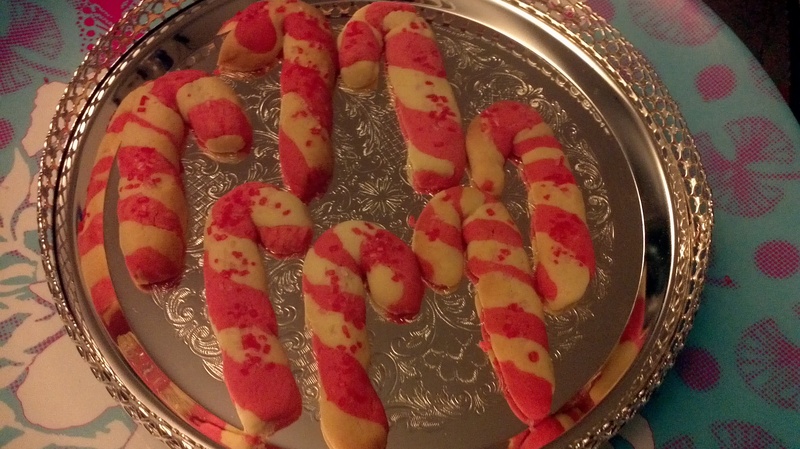 These cookies are another of the many Christmas cookies we make. 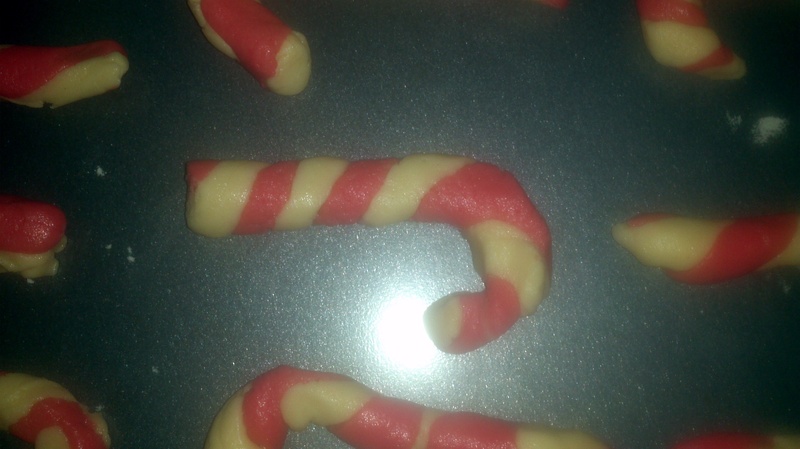 They do have a little bit of mint but are not overly minty, however they do look like cute candy canes! They are another cookie that is not overly sweet. 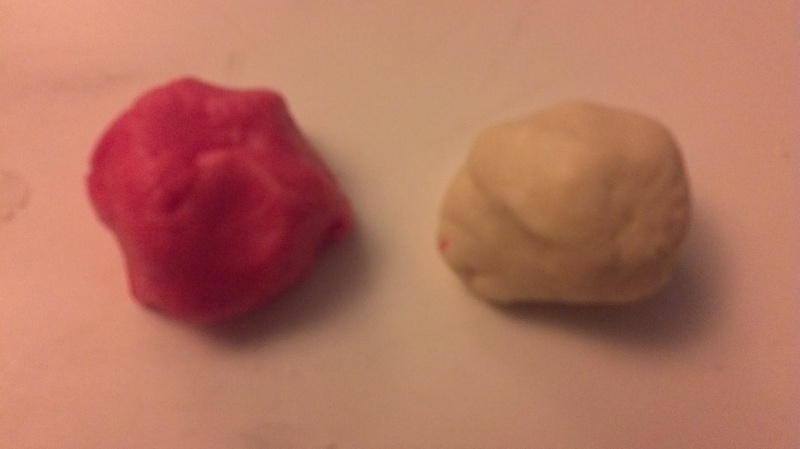 Divide dough in half and add ½ tsp red colouring to one half. 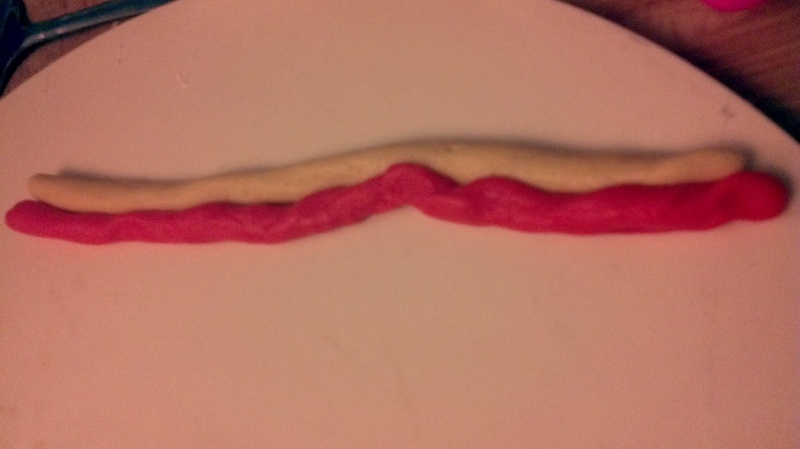 Roll 1 tsp of each colour into a strip (about 4 inches) twist together like a rope. Curve top to form a cane. Place on an ungreased cookies sheet. Sprinkle with peppermint chips. Bake for about 9 mins at 375 degrees. 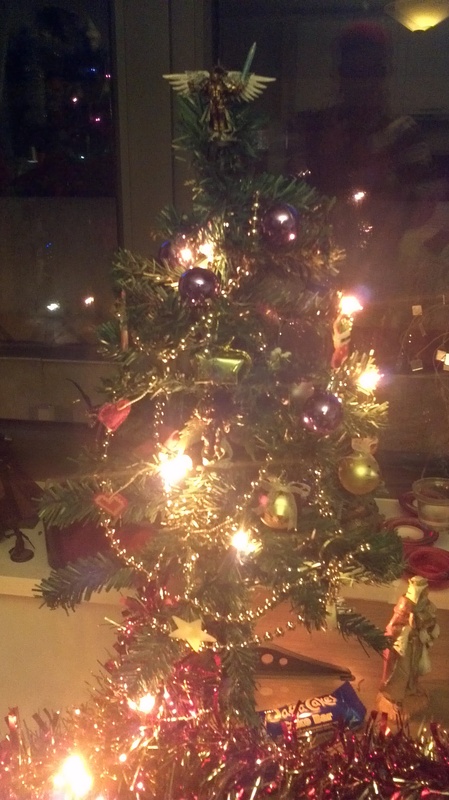 Christmas in the home! Chris and I put up our decorations and trees last week. 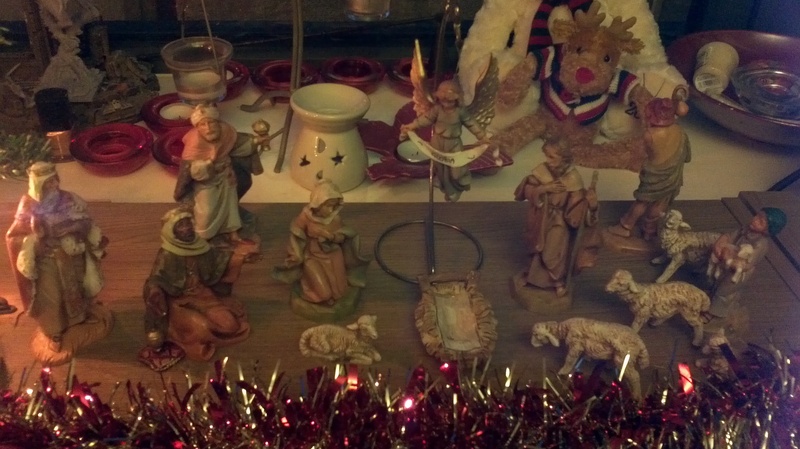 My nativity is made by Fontanini, my Mom has the same set and I have always loved them, they’re pretty but not so delicate that a little girl couldn’t hold them, I like the muted colours and they have lovely faces. I also like the fact that Jesus is not stuck in his cradle so he does not have to be in there before Christmas. 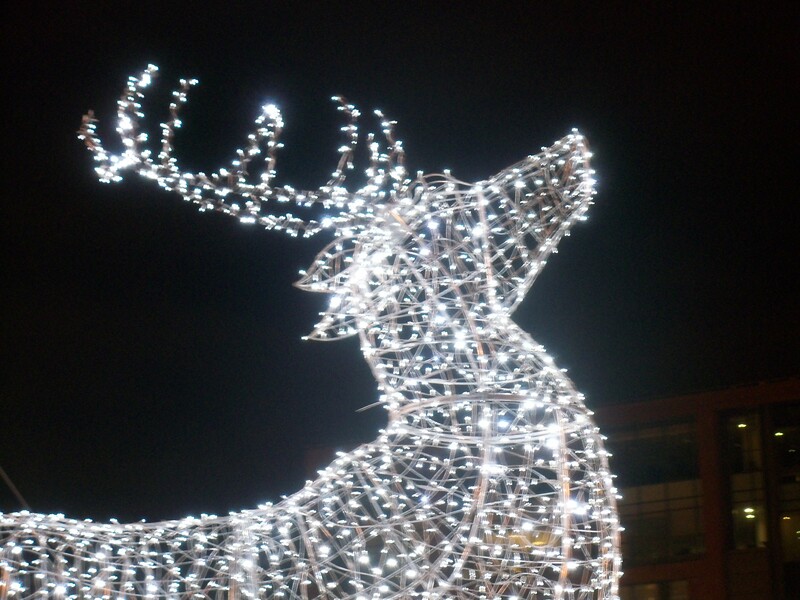 It does mean that everyone is gazing adoringly at some hay until Christmas day but I like it. 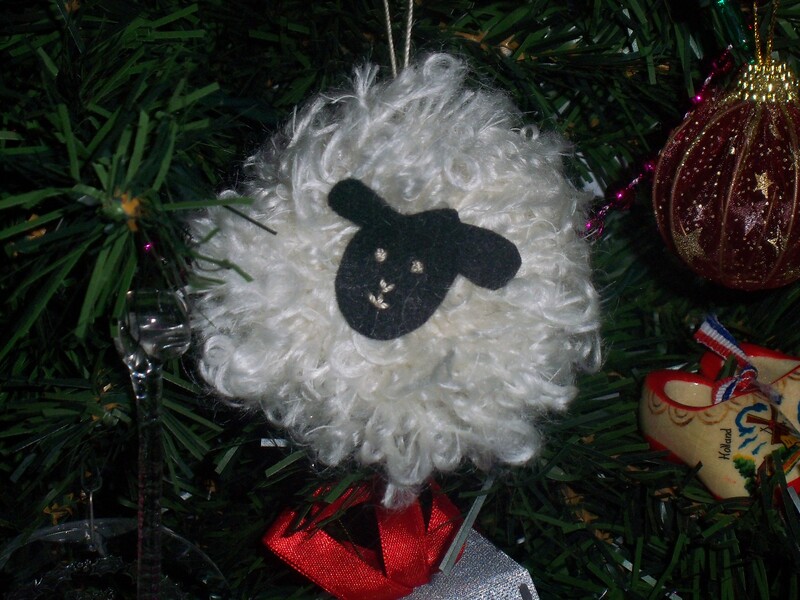 Unlike my friend Kim (see her tree here) I am not a big fan of tinsel on trees. I like tinsel on colour co-ordinated trees but, while I think they are very pretty, I do not have a colour co-ordinated tree. 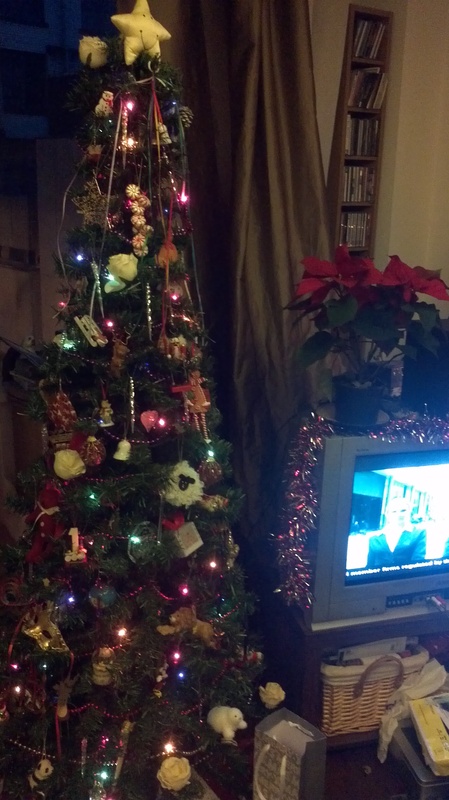 I have a tree with a little bit of everything on it and I feel that the tinsel distracts from the ornaments. Therefore I use beads instead as they are smaller. 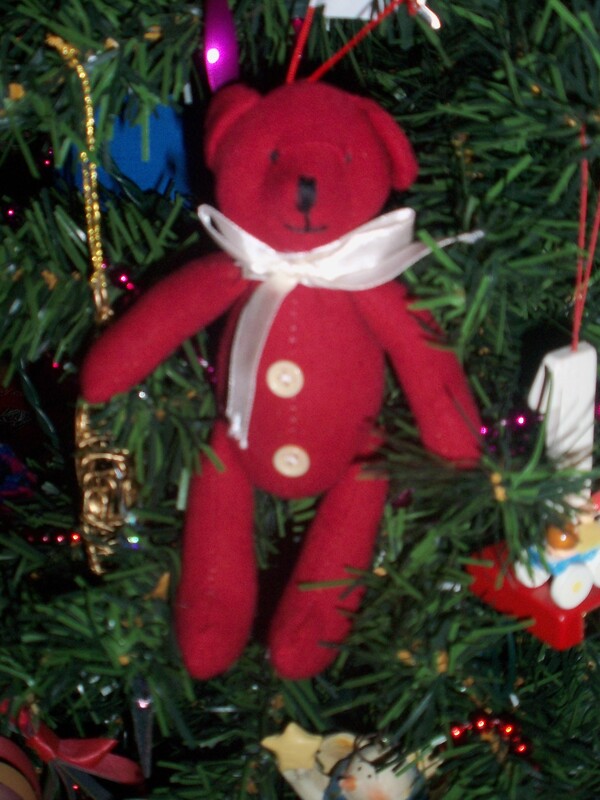 I also got 2 ornaments from my boyfriend: a Nutcracker (which I have wanted for ages) and a really cute red bear from Kendalls. 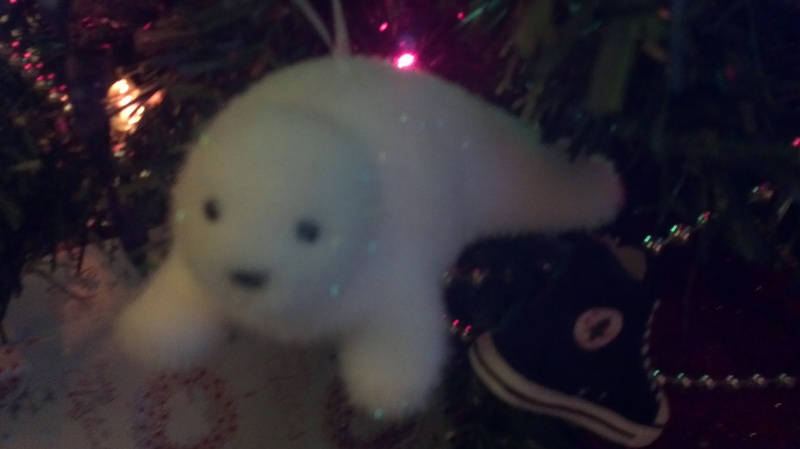 And I bought myself this adorable seal which was looking at me while I was shopping in M&S and insisted on coming with me. You can also see Chris' ornament from last year, a converse shoe. My tree has ornaments from around the world, store bought ornaments, hand made ornaments, inherited ornaments and a smiley star at the top. I love it. It has a story. 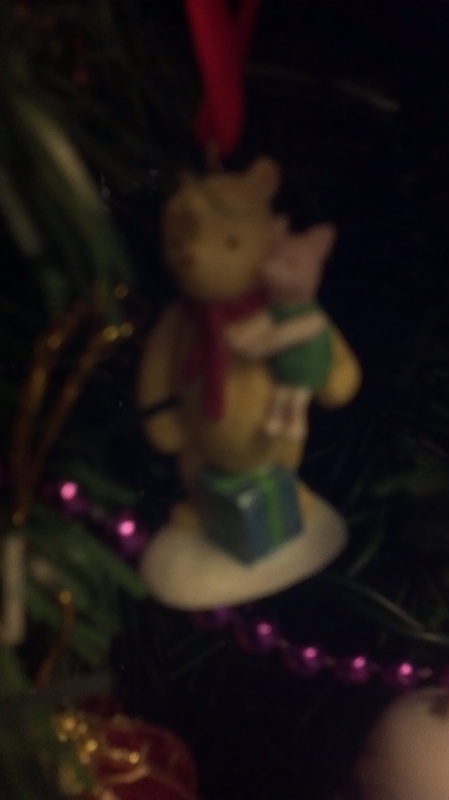 Chris gets to decorate the baby tree. 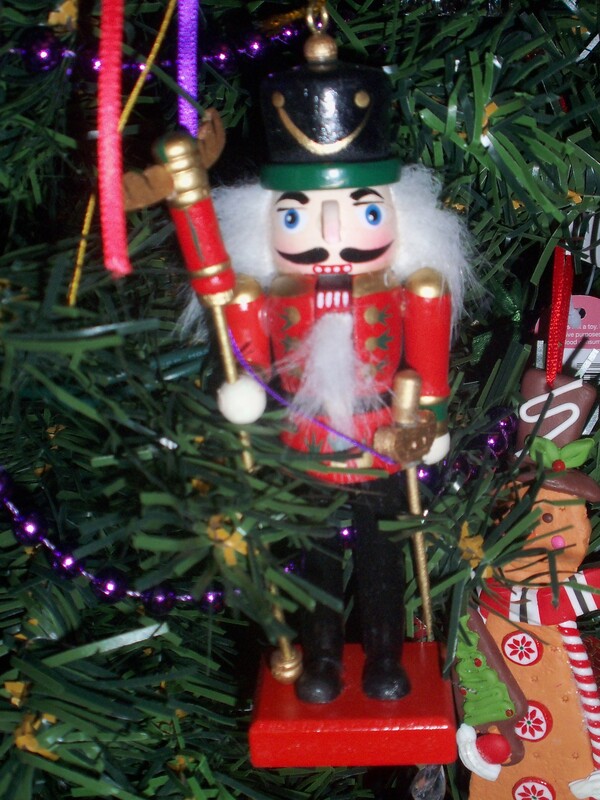 We use the tiny ornaments that would be lost on the big tree and a selection of Warhammer figures. 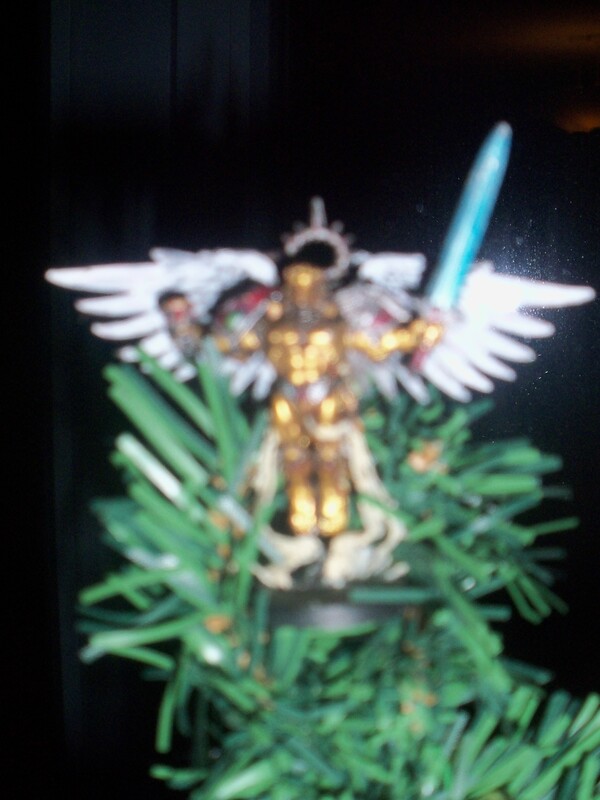 For one month a year the Sanguinor becomes the Archangel Michael *shrugs*, he actually looks pretty good. 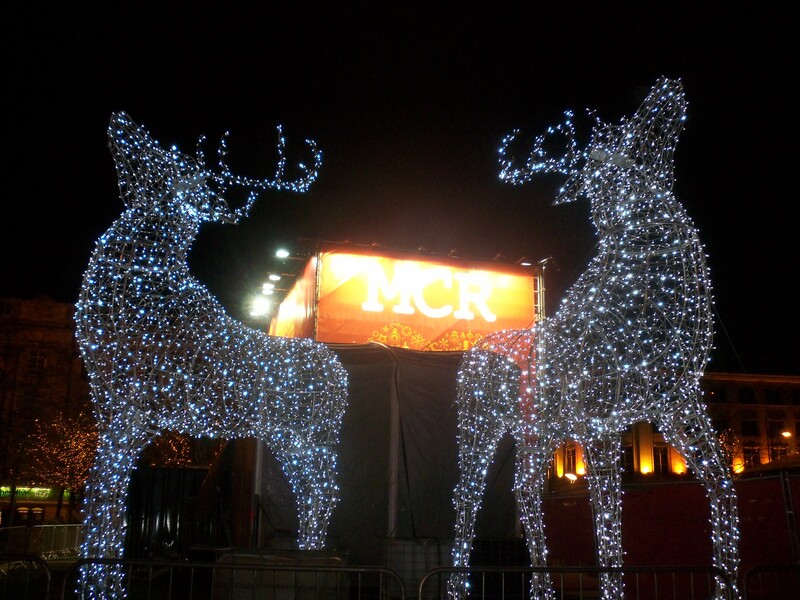 As those of you who have been following this blog will know my boyfriend and I have been spending a fair bit of time wandering around the Christmas markets of Manchester. I hate taking night shots in the cold, they are always blurry, but you get the idea! 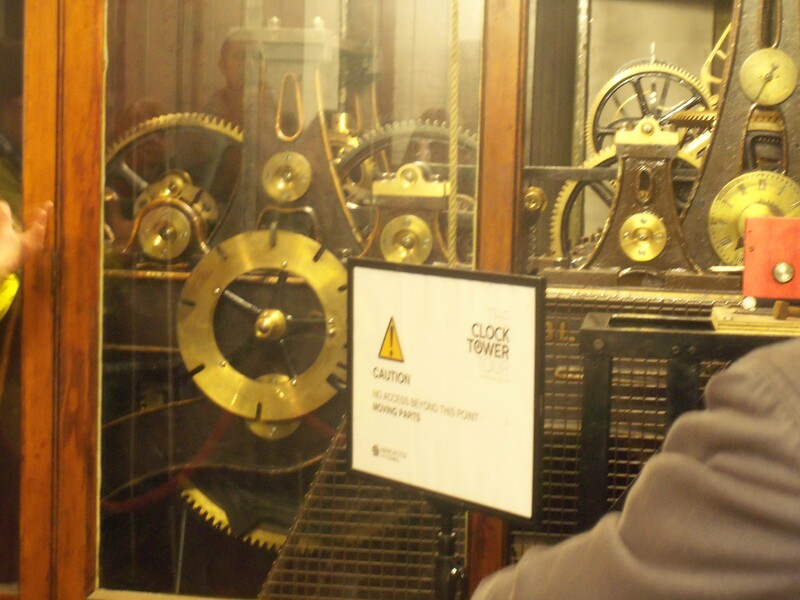 While we were touring the market we saw signs for a tour of the Town Hall clock tower. Of course we immediately signed up! Just as well as there were only 3 tickets left on any of the tours so we were really lucky to get a place. The Town Hall was designed by Alfred Waterhouse who won a competition, he almost came second but his unique shape, using all of the plot of land unlike his competitors. Hence the almost triangular shape. This site has a really aerial good picture. For more general information on the Town Hall try here, here and here. Why is it a Town Hall anyway? It was not built until after Manchester achieved city status. 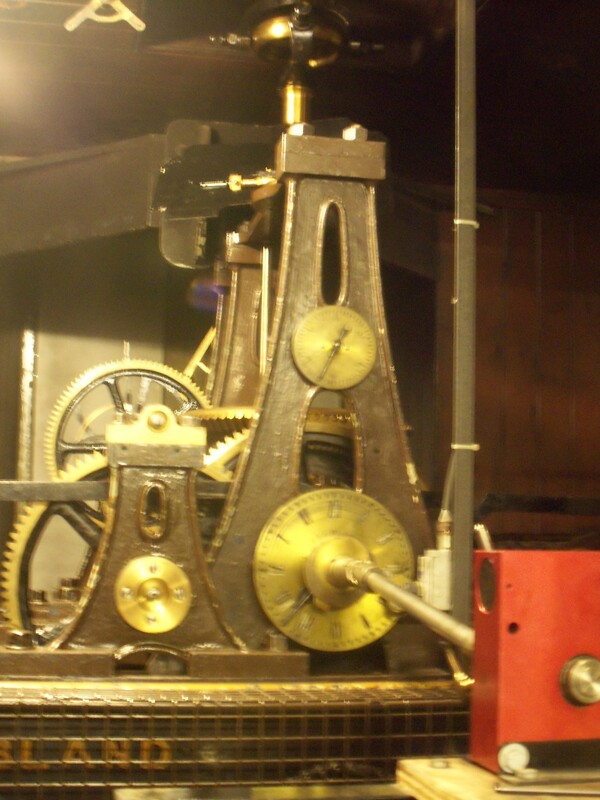 The clock tower houses a total of 24 bells: 23 smaller bells plus the main clock bell Great Abel, named for Abel Heywood, Mayor of Manchester at the time of the Town Hall opening. 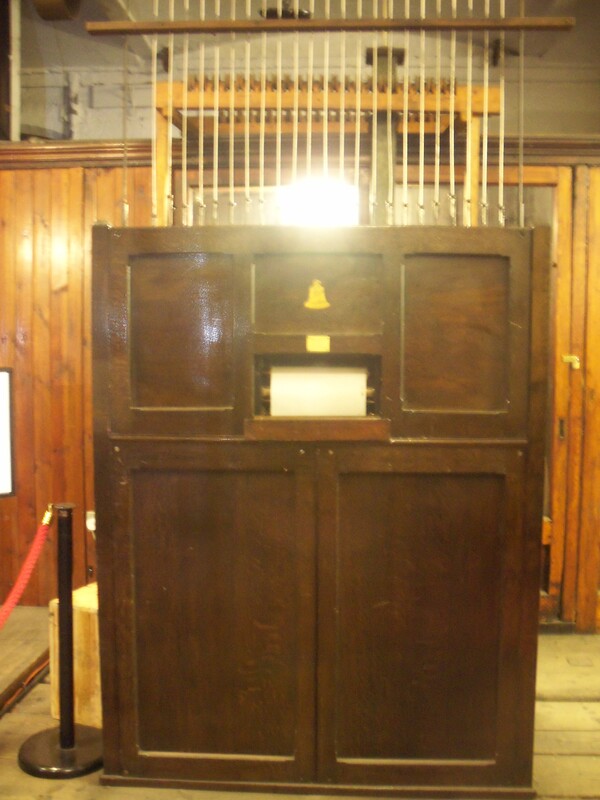 The smaller bells are part of a carillon which can be played by striking wooden keys with one’s fists or, more often in this case, with cylinders of music that are placed inside it. The Town Hall has a lot of different music it can play however it is difficult to change the tune and only a handful of people know how so I guess they don’t do it very often. For example there are Christmas carols available and now would be the perfect time of year but no, it is still the same tune! 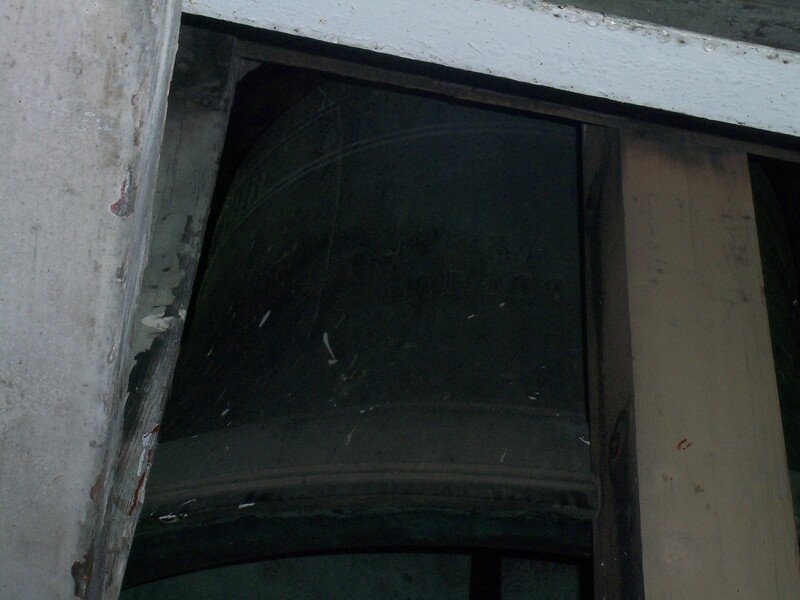 The bells attached to this one are in a very small room so we couldn’t go see them but we did see the mechanism that helps run them and Great Abel. 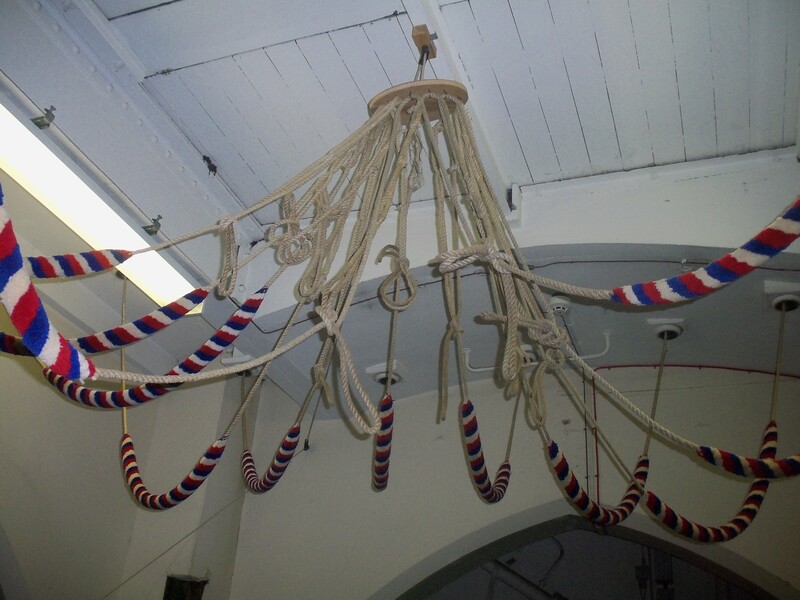 The bells can also be rung by bell ringers and, according to the tour guide, are quite sought after. 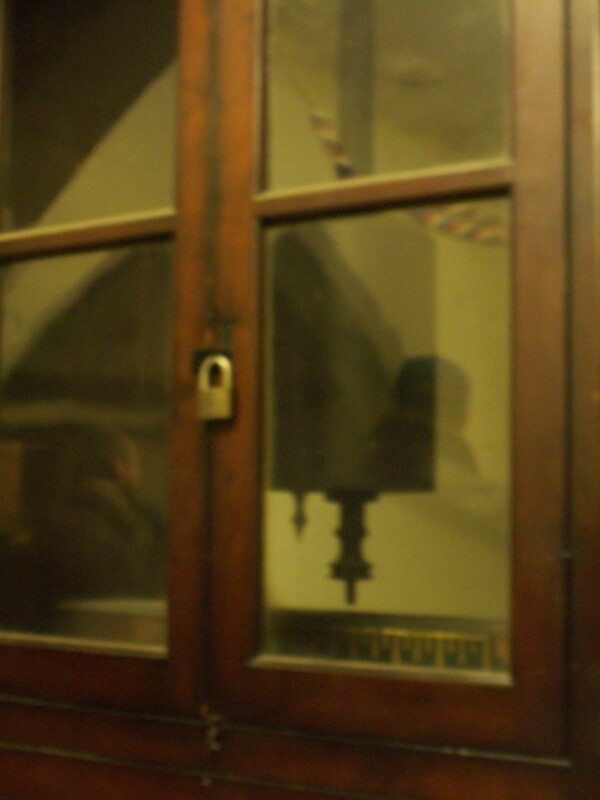 The bell ringers’ room also houses the pendulum. After looking at the mechanisms we climbed all the way to the top! Unfortunately this meant climbing up narrow curving staircases. I’m really scared of small heights, bizarre I know, but stairs terrify me. I always feel a sense of accomplishment when I make it back down from high towers. 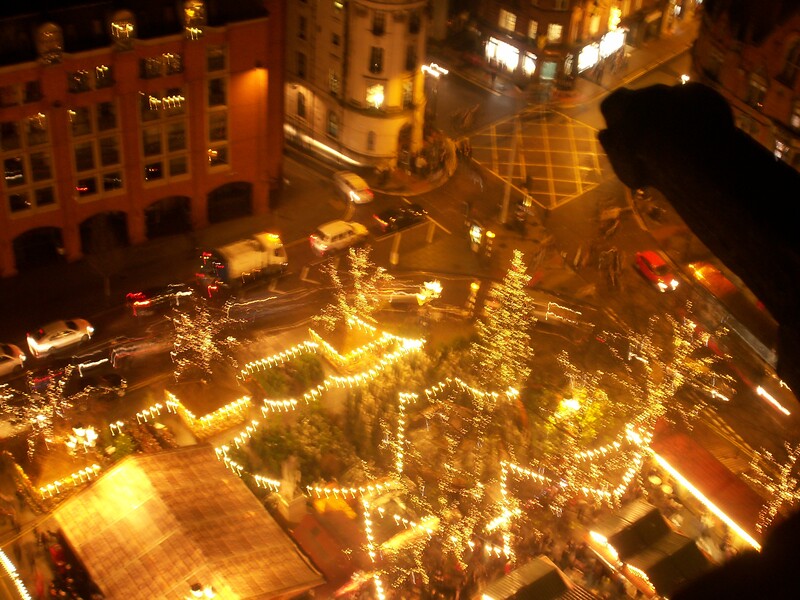 Especially since I’ve gotten stuck at the top of St. Paul’s cathedral in London twice. At least these stairs are solid stone unlike their metal ones with holes in them! 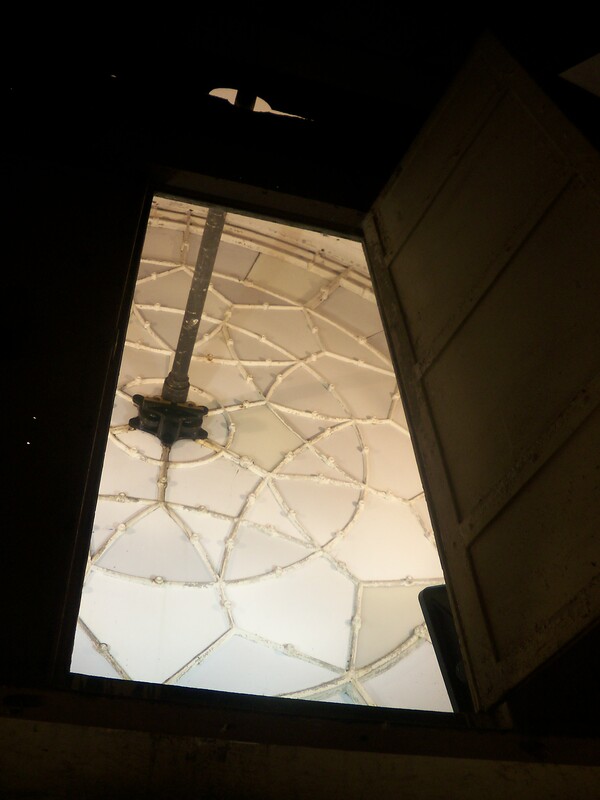 The staircase is lined with windows looking out over the city. It’s interesting watching the city get smaller and smaller as you ascend the 280 foot tower. 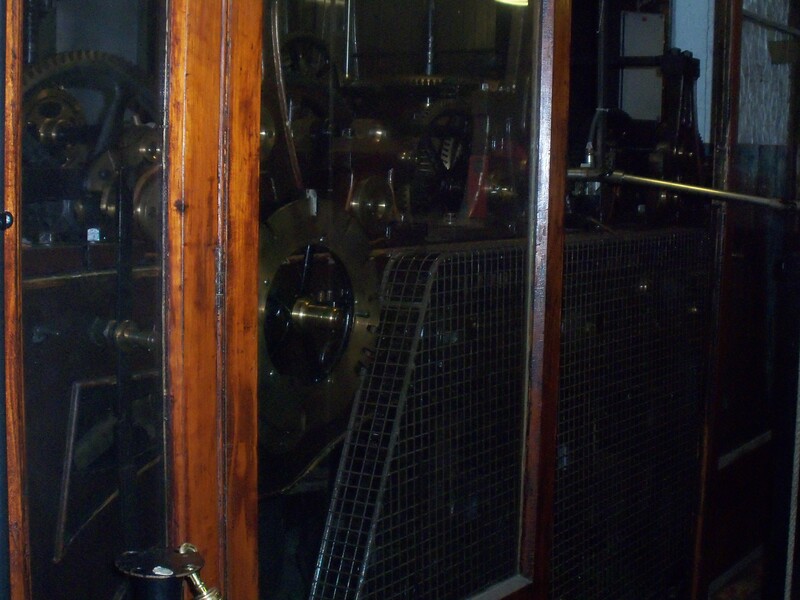 Firstly we stopped in and had a look at the clock face from the inside. The clock on the Town Hall has no numbers, instead it has fleurs-de-lys and rising suns. This is one of several tributes in the building to the flemish who helped kick start the cotton industry, without which Manchester would not have become such a prominent and wealthy city. There is also a cotton ball right on the top of the tower. 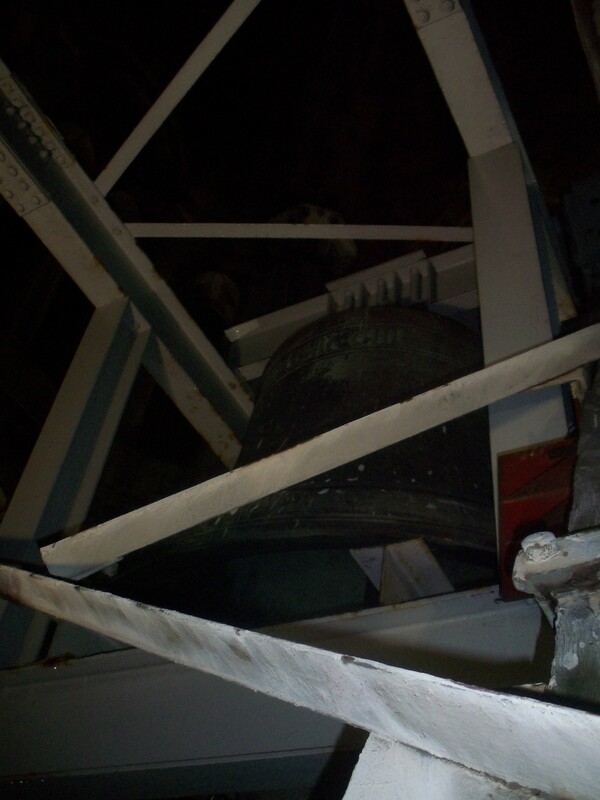 The main bell itself is inside the tower above the clock. Around the outside of the tower there is a pathway with statues of angels and gargoyles. Even with the wall between you when that bell is struck at the hour it is loud! Myself and the lady next to me almost dropped our cameras over the wall! The wall around the walk way is just higher than waist height and thick so it does feel perfectly safe. Great Abel is inscribed with a poem by Tennyson “Ring out the false, ring in the true”. All in all I would highly recommend taking a tour of the town hall if the opportunity presents itself, it’s a very interesting building and important to the history of this amazing city. Here is are a few other pictures I took going round, I apologise if some are blurry it was very cold and, as I said, I’m scared of stairs! The John Rylands Library is my favourite place in Manchester, possibly the world! The library was build by Rylands‘ widow (and I believe 3rd wife) Enriqueta Rylands, for whom I have a great admiration. Rylands died hugely wealthy thanks to the industrial revolution, the cotton industry and a shrewd business mind. Mrs Rylands chose not to hoard her vast inheritance but instead shared it, what I feel, is one of the most worthwhile manners possible. She chose a site in a dirty city, not immediately apparent as a good place for a library. It meant that they had be innovative in the construction of the library in order for the books to be preserved. For example the library was one of the first public buildings in Manchester to have electric lights as they were cleaner than gas. In the original plans a large part of the library was dedicated to the teaching of Methodist ministers, something my mother, a Methodist lay preacher, particularly loves since it meant she could go study there and read original letters written by John Wesley. This is why libraries like this are so important. General lending is of course absolutely necessary and an amazing thing, but special collections like those letters need to be preserved. The library also houses one of the, if not the, oldest remnant of the New Testament as well as other historically important and beautiful works. I love the fact that the purpose of the library kept changing; Mrs Rylands seems to have simply been unable to stop buying books. She wanted to preserve collections and so kept rearranging her library to make room for them as she bought them. According to the tour guide she also had a large hand in approving the actual design of the building. The most stunning building in the city! I love gothic architecture and this has so much attention to detail. It even smells like one would imagine a gothic library should. It gives me shivers and always makes me catch my breath in amazement. This weekend I decided to try and take some pictures of some of the details in the library. My camera was not designed for low lighting so most of these pictures came out fuzzy 😦 but I hope some of them turned out ok, it gives a general idea anyways until I have time to go back and play with the settings. 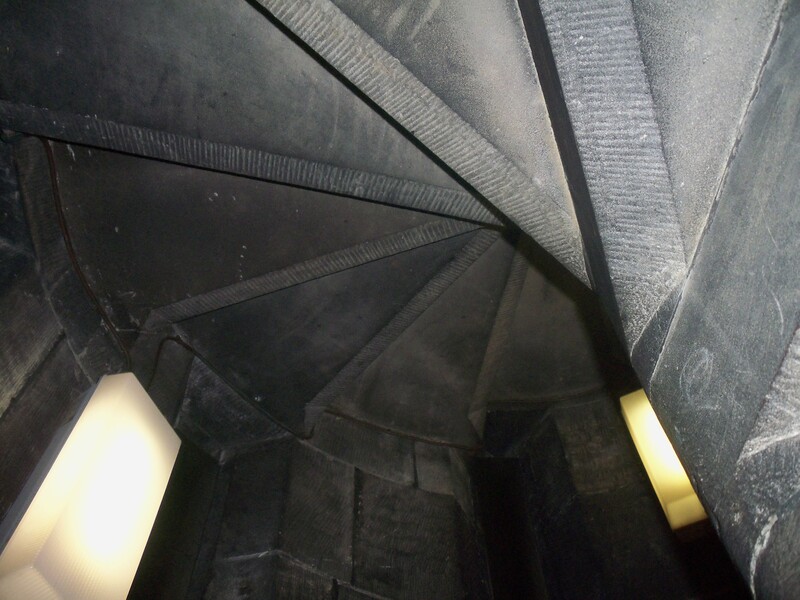 Chris also likes the way the modern part attaches on, like you step in and out of a dream world or another dimension. I think he may be right. 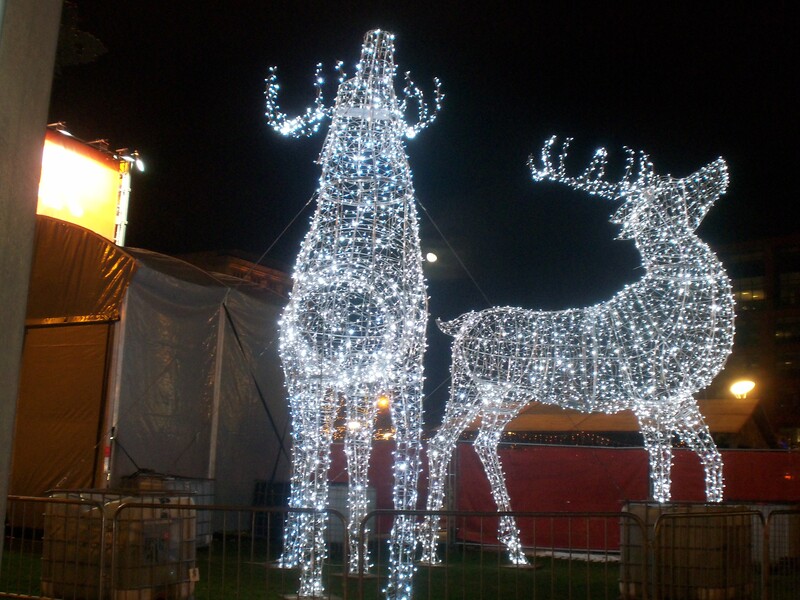 Today Chris and I went to the Albert Square markets by the Town Hall. These are usually mostly food but also do some crafts. I was very tempted by some glazed pots and also by several pieces lovely Transylvanian glassware. I managed to resist these but we did get a Christmas markets mug each (Chris’ with mead and mine with hot chocolate with Baileys in it, yum!) and enjoyed wandering around looking at the stalls, trying the free cheese samples and buying cookies. We even tried some green cheese (Would you, could you in a Christmas market?). The food at the market is often Germanic/Dutch, lots of cheese, sausages and sweets. I have Dutch friends so they have introduced me to various cookies that I can now only really get at Christmas. 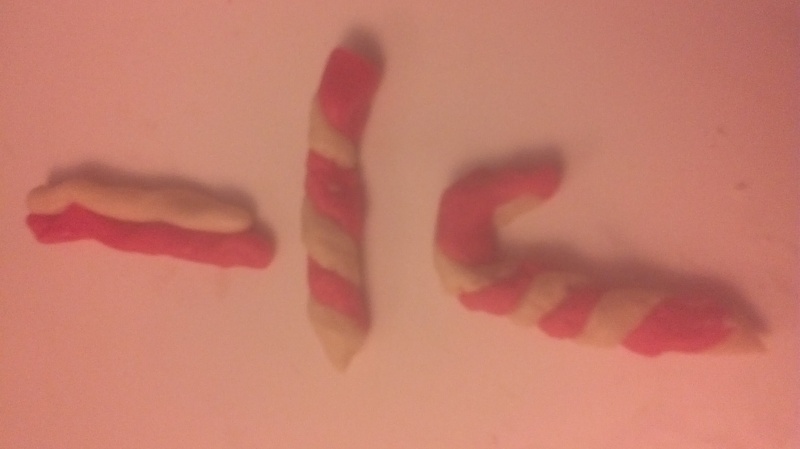 Because what I need at Christmas is more sugar! Here are some pictures of the market.